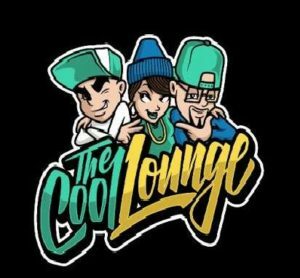 Welcome to The Cool Lounge! This is our new social enterprise, a food and drinks venue in Phnom Penh open from 2pm daily. The Lounge offers employment and training opportunities to former Tiny Toones students and will help to fund the vital work we do to support the kids at our centre in Chbar Ampov. We serve local and international beer, spirits and soft drinks and have a range of Khmer and western food available. The Cool Lounge is situated on street 440, a one minute walk from the bustling Russian Market area of Phnom Penh. For regular updates please see the Facebook page. On the first floor of the building we have a dance studio including air conditioning units. This studio will be the venue for our hip-hop dance classes that are launching soon. Lessons will cater for all levels of ability and experience and will be open to the general public and led by our Tiny Toones teachers. Keep checking this website or the Cool Lounge Facebook page for details. The dance studio will also be available for hire as a meeting or conference space. We also have a brand new purpose built recording studio. This is fully soundproofed and has everything needed to produce high quality recordings. As well as being used by Tiny Toones students, the studio will be available for hire subject to availability. Please contact us for further details or bookings for any of the above. We’d like to thank the Global Fund for Children for their support in funding The Cool Lounge.